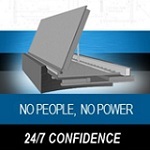 The FloodBreak® FreeView™ Flood Barrier System is an innovative flood control product that provides permanent passive protection along rivers, levees, lakes and coastlines without blocking views or limiting community access to the water. Designed for long linear runs without stanchions or supports, it can serve as a bike or pedestrian pathway during dry times. 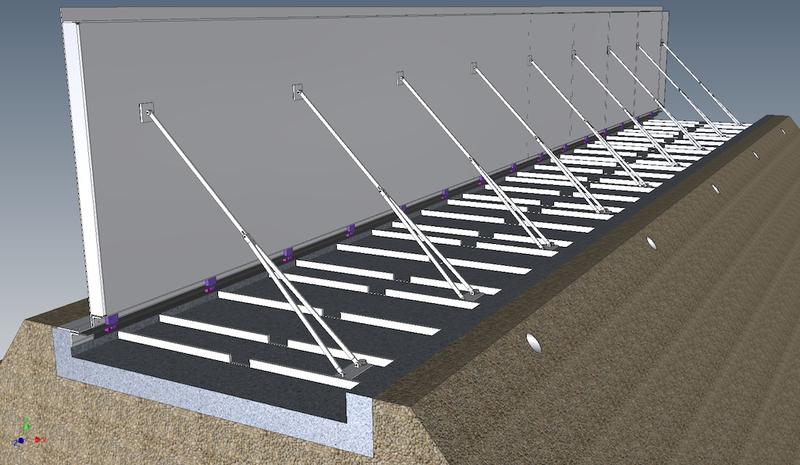 Like all FloodBreak passive automatic flood barrier systems, FreeView flood barriers provide permanent, 24/7 flood protection while remaining hidden below ground or cantilevered over the water until an actual flood event. Rising water lifts the buoyant panel in the same manner FloodBreak automatic flood gates deploy. 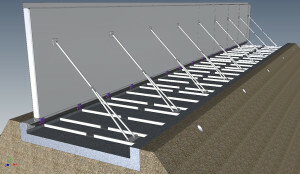 When the water recedes, the self draining and self retracting passive barrier returns to its rest position. Modular in nature and self supporting with tension members rather than stanchions or vertical stops, the FloodBreak FreeView Barrier System is ideal for long continuous runs on levees, dams, boardwalks, riverwalks, seawalls or any waterfront path. For example, the FreeView Levee Topper is a smart solution for levee owners who must raise their levee for FEMA accreditation. Read more about the FreeView Levee Topper (FVLT). 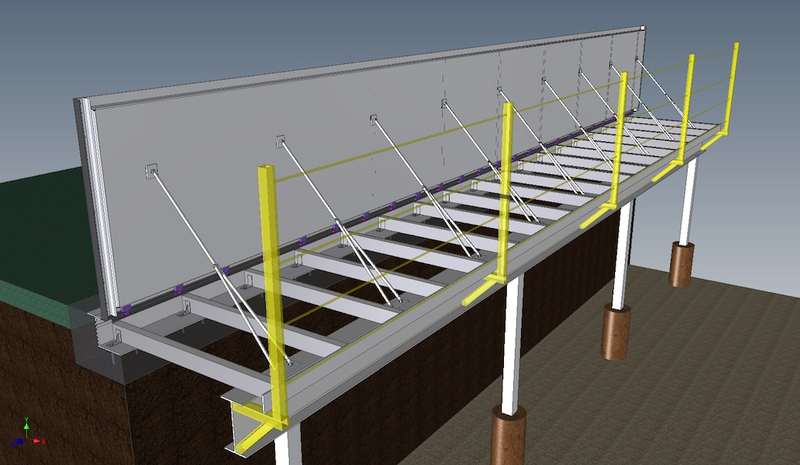 The system sits on a structural space frame within a formed in place concrete pan recessed in the levee, dam or walkway and mounts to a structural footing to support hydrostatic loads. Drains on the water side facilitate deployment and drainage as the water recedes. If needed, drainage can be routed through the system bottom. FreeView barriers can also be cantilevered over the water’s edge with loads transferred to a pier structure. Materials are specified for long-term exposure to outdoor, extreme conditions. The systems are low maintenance, highly durable, not prone to corrosion, and easy to clean and inspect. Maintenance can be handled by one or two man crews. Designed to withstand impact from floating debris with a factor of safety. Contact us today to learn how FreeView flood barriers can protect your waterfrong without blocking views or community access.